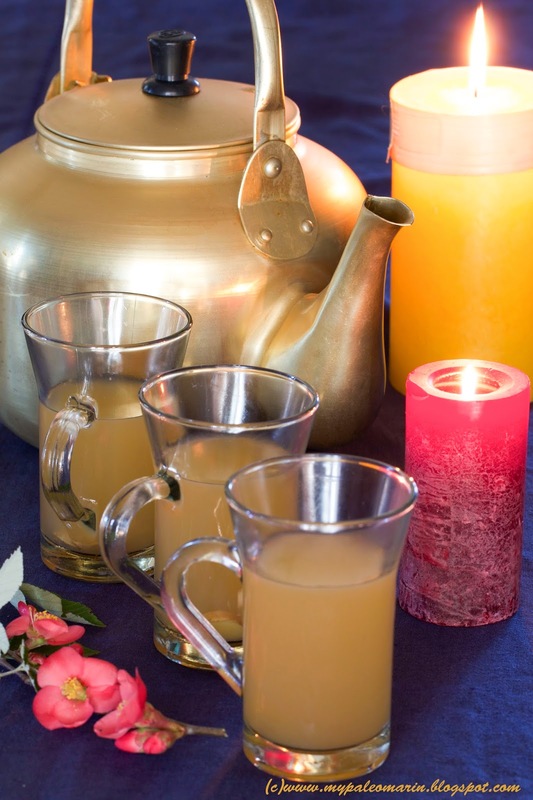 This recipe for ginger and lemon tea comes from Lobsang, a Tibetan exile, who prepared “Dragon Breath’s Ginger Tea" for special occasions at my daughter’s elementary school. The kids didn’t know that ginger can boost the immune system, as well as aid with digestive issues - they just knew it was a special treat and tasted delicious. Enjoy for a healthy start to the New Year! 1. Bring water to boil in a large pot. Add cut-up ginger, and boil at a low roll for about 1/2 hour. Ginger water will be darkish yellow and fragrant. 2. Turn off heat. Add teabags and honey. Cover and let steep for 10 minutes. 3. Remove tea bags; stir in the lemon juice. Taste and adjust for sweetness/tartness. Tea can be served hot or cold. It can get stronger over time if you leave the ginger in, so just add more water and adjust for taste. Or set most of the ginger aside and use again for another batch of tea. Serve with fresh mint (optional).